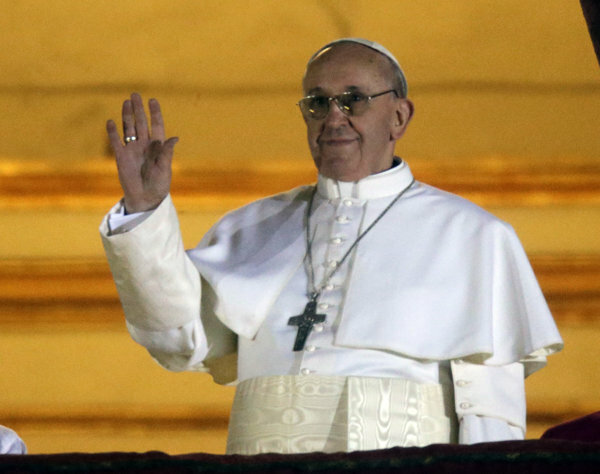 A Subpoena For Pope Francis? Looks like Mother Church has screwed up big time. Hardly had the words “Habemus Papem” been uttered from the balcony above Vatican Square before Argentinian journalists were linking the new Pope, Francis 1, aka former Cardinal Jorge Bergoglio, to the Argentinian Generals’ dirty war against various leftists, liberals and anti-government activists during the 1970’s. That war embraced torture, kidnapping, murder, the abduction and selling of children and, of course, the disappearing of opponents, the latter being something that the people of Ireland are not unfamiliar with. Thirty thousand people were “disappeared” by the junta – the so-called Desaparecidos – and their plight made the Troubles in Ireland look like a pillow fight at Harry Potter’s boarding school. Those were the days when the Jesuits were more likely to be preaching the essential Christianity of liberation theology to the poor in places like Latin America than running $600 million a year colleges in the north-eastern seaboard of the United States. Jesuit priests were often in the forefront of the struggle against the likes of the Argentine junta and sometimes they paid the ultimate price. A great pity then, that at the time Jesuit priests could not always rely upon their superiors for support in their dangerous defiance of the Generals’ brutality, superiors like Jorge Bergoglio, the archbishop of Buenos Aires. In his book, El Silencio, a prominent Argentinian journalist (Horacio Verbitsky) alleged that he (the new Pope) connived in the abduction of two Jesuit priests by the military junta in the so-called “dirty war”. He denies the accusation. The same paper’s respected foreign correspondent Hugh O’Shaughnessy, an expert on Latin America’s history and politics, takes this allegation a step further and writes that Bergoglio covered up for the Argentine Navy, hiding political prisoners away on his island retreat, appropriately called El Silencio, so that a visiting Inter-America Human Rights Commission delegation would not discover one of the junta’s dirty secrets. It remains to be seen how consequential this history will get for the new pontiff but if anyone is serious about plumbing the bottom of this affair how about serving him with a subpoena to surrender all his records of that time? After all we can’t have alleged criminals believing that even the passage of forty years since their alleged offences means they will get away with it. No sir! So far nothing about this in the reverential Irish media; for how long?